The Talking Man of Action (7292) came back in 1976 with a new set of voice commands and the talking mechanism moved to face the figure's back with the pull string exiting at the top of Joe's left shoulder. 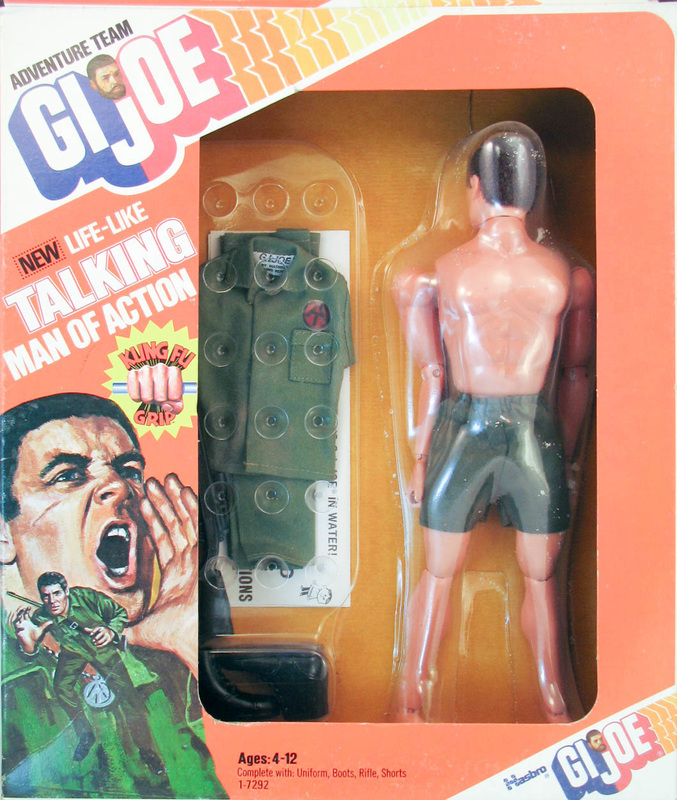 While in the past the Talking Man of Action had issued the same commands as the original 1967 Talking Soldier, in 1976 all the Adventure Team talkers issued the same set of directives. He came complete with shorts, green fatigues, black boots, and a black hunting rifle. The 1976 Talking Man of Action is very hard to find in the box.